Last Supper: book your tickets now! Last Supper: enjoy your tour with a private guide!  WHY VISIT THE LAST SUPPER BY LEONARDO DA VINCI? Because you can see in person a work of the highest level painted by one of the best Italian artists. In the Last Supper by Leonardo, Jesus is located in the center of the painting that constitutes the central axis of the scene; the complex is very balanced and studied in every detail. Even the apostles have been divided into four groups arranged in such a way as to contribute to the general symmetry of the work. Leonardo wanted to communicate the sense of propagation of the announcement made by Jesus, heard less and less by the apostles as they move away from the center of the scene and at the same time, the emotions and thoughts of the apostles translated into gestures and attitudes. The figures represented are, starting from the far side of the table to the right of Jesus, Bartholomew, James the Younger and Andrew, in the second group is represented Peter, Judas and John with Jesus. Starting on the left side of Jesus we find Thomas, James the older and Philip and in the last group are Matthew, Simon and Judas Tadeo. By the way in which each apostle has been represented, Leonardo transmits to us the character of each one and their reaction, each different from the other, by the news received. 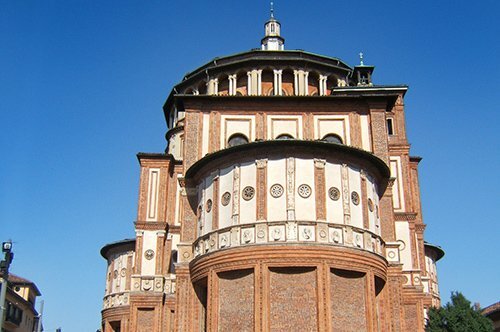 In the period that goes from 1494 to 1497, by the request of Ludovico il Moro, Leonardo da Vinci carried out the work that was later to become the famous painting of the Last Supper in the old refectory of the convent of Santa Maria delle Grazie in Milan. This work represents the Last Supper that Jesus had with the Apostles during the Jewish Passover, this was the Last Supper that Jesus celebrated in which he announced that Judas would betray him and that Peter would deny him. To create this work Leonardo, instead of using the traditional method of the fresco, which he did not love, used a mixed technique called "fresco secco" which consists in mixing the tempera with the oil on plaster to save time and be able, during the process, to make changes in the painting. This technique, however, was the cause of the early deterioration of the work of Leonardo, which was spoiled after a few years of its creation and several restorations have been necessary to prevent the painting from being lost. WHAT IS THE LAST SUPPER BY LEONARDO DA VINCI NOWADAYS? 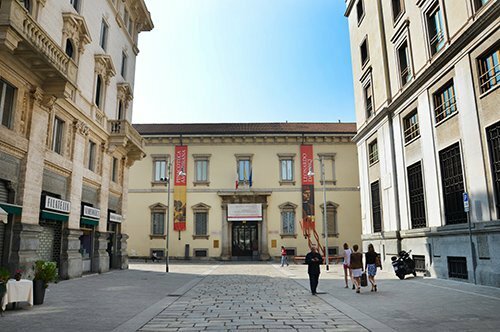 The Cenacle Vinciano or The Last Supper by Leonardo da Vinci is one of the most famous works in the world. The painting represents the moment when Jesus announces to the disciples that one of them would betray him. Around the main figure of Jesus, all the apostles divided into groups of three react to the phrase they have just heard. The scene is illuminated by a clear light that highlights the details of the painting, such as plates, glasses and food on a long table. 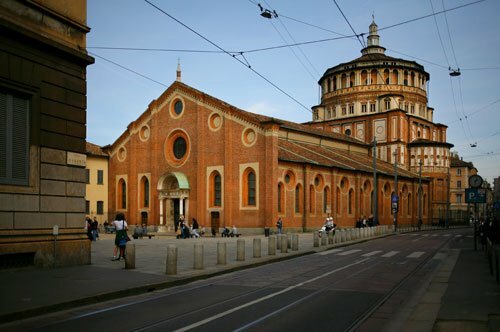 Leonardo's painting measures 460 x 880 cm and it is possible to admire it in the Refectory of Santa Maria delle Grazie, the place where the friars consumed their meals. Did you know that Leonardo's refusal to use the traditional fresco technique led to an early deterioration of the painting that required a lot of restoration interventions? 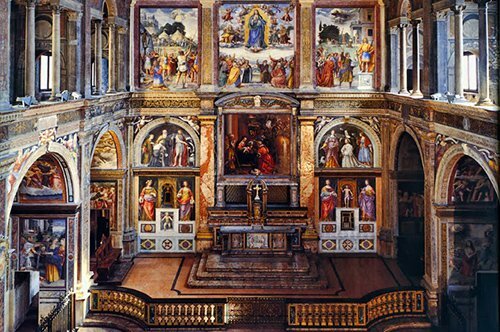 In this painting, mathematics and geometry play a fundamental role and suggest a 1: 3 relationship as a guide for the work; three are the windows behind Jesus, three are the candles on the ceiling and three are the number of apostles in each group. Did you know that the dishes consumed at the Last Supper are typical of the Jewish Passover which recalls the scape of the Jews from Egypt? The dishes were varied and included mainly roast lamb, unleavened bread, bitter herbs, charoset and wine. 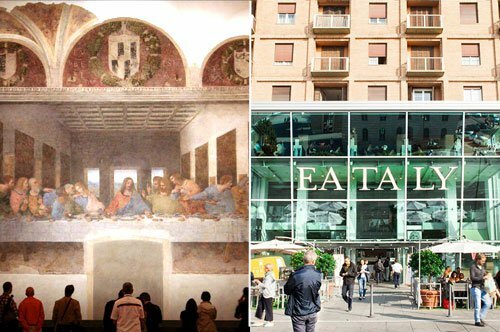 HOW TO VISIT THE LAST SUPPER BY LEONARDO DA VINCI? Booking tickets to see the Last Supper is mandatory, even though the available spots are not many, there are several ways to see this wonderful work: the simple entry, often combined with an interesting book that you can pick up at the souvenir shop of the Museum; Group guided tours allow visitors to admire, in addition to Da Vinci's masterpiece, the most important places in Milan, such as the Duomo of Milan, the Sforzesco Castle, the Church of San Maurizio, the Cloister of the Frogs, Parco Sempione, Eataly and much more; visits with a private guide will allow you to admire this invaluable work of art in a better way. 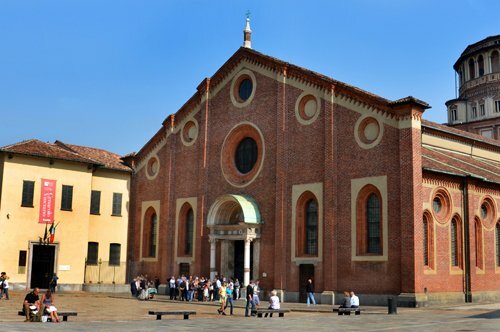 The Last Supper is in the refectory of the Church of Santa Maria delle Grazie. 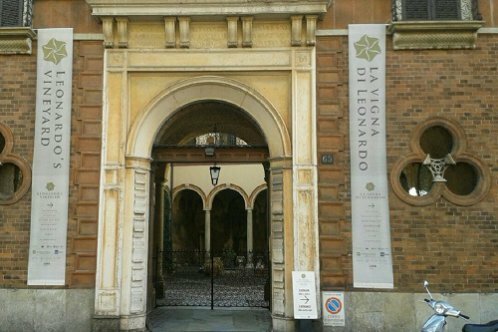 If you want to know more about the life and work of Leonardo da Vinci in Milan, also visit the Leonardo's Vineyard, a gift from Ludovico il Moro to the artist during the period when he worked at the Last Supper. 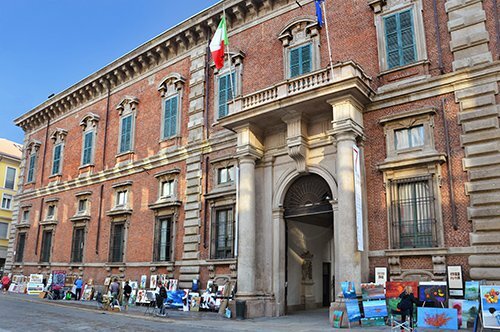 If art fascinates you, visit two important art galleries, the Brera Gallery and the Pinacoteca Ambrosiana. 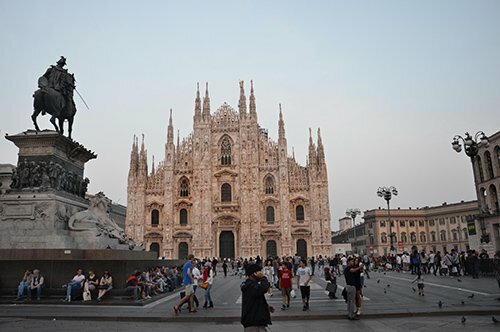 You can't miss the Duomo of Milan and the homonymous square that leads to the famous Vittorio Emanuele II Gallery. 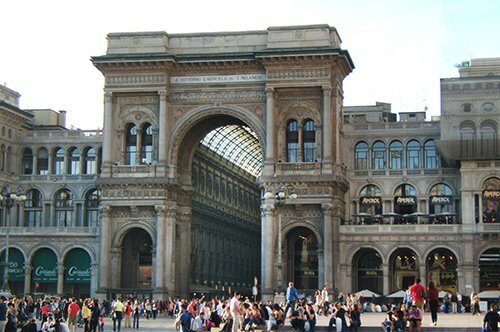 With the help of the Map of Milan and not far from the Duomo and the Vittorio Emanuele II Gallery, you will find the La Scala Theater, which is the main opera house in Milan and the Mercanti Square, that in medieval times, represented the center of the life of the city. 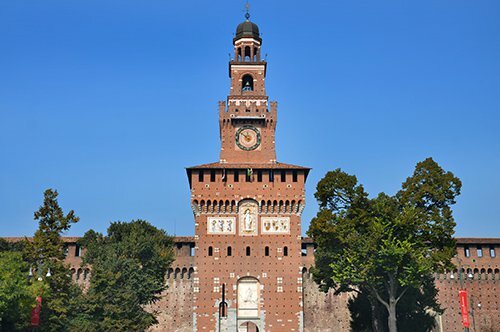 Another important historical building of the city is the imposing Sforzesco Castle inside the Sempione Park that preserves an important sculptural work by Michelangelo, Rondanini Pietá. 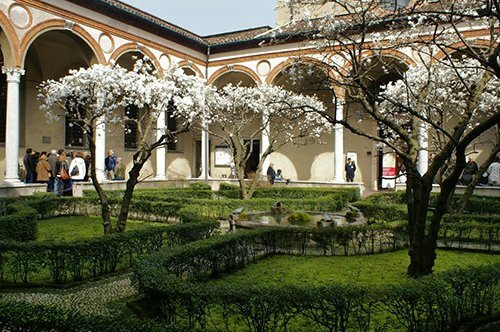 Not far away you will also find the church of San Maurizio in the Maggiore Monastery and if you want to continue your tour of the city discovering works of contemporary art, visit the Piazza degli Affari where you will find the sculpture L.O.V.E. by Maurizio Cattelan representing a hand with all fingers cut except the middle finger. 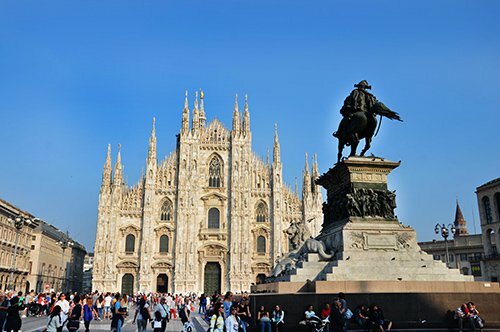 In the surroundings of Milan you can also visit very beautiful cities and tourist places. 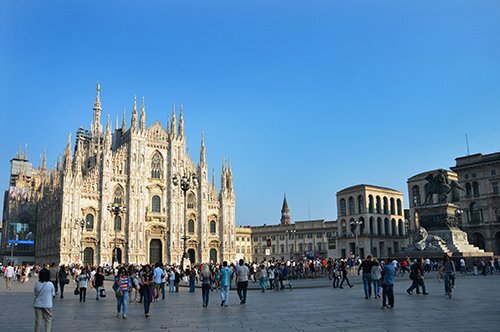 You can visit Turin, the capital of the Piedmont Region, with the famous Mole Antonelliana, or Mantova, a city of Lombardy, where you can admire its Renaissance architecture. 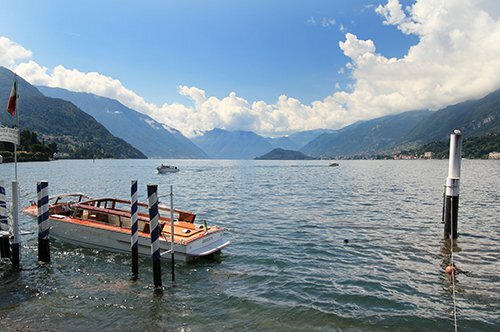 You can also go to the city of Bellagio or Lecco on Lake Como or visit other beautiful lakes in northern Italy such as Lake Maggiore and Lake Garda.